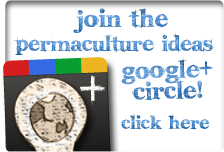 What we can learn from Sepp Holzer's Permaculture Farm in Austria. Sepp Holzer, a man who not only produces food in a very unlikely location, at a high and frigid altitude in Austria, but is also growing very unlikely crops there as well -- and all without the use of chemicals, and with minimal input of human labour. I guess you could call him a European counterpart of people like Bill Mollison and Masanobu Fukuoka -- as all three independently discovered ways of working with nature that save money and labour and that don't degrade the environment, but actually improve it. In Holzer's case, he was effectively running a permaculture farm for more than two decades before he even realised his unconventional approach could be termed 'permaculture'.